We are more than Happy to Assist our Customers. Planning a vacation usually means booking flights, reserving a room, making an itinerary and figuring out what to pack, but make sure you don’t forget about one of the most important things about going away to make sure your home is well-taken care of while you are gone! Want a hassle free vacation for you and your family? Call us 800-896-9308 or you can visit us here http://lgiadvantageclub.com/. For many people who own timeshares, they have had so many problems when it comes to dispose their timeshares. This is because, they most of them when buying, they did not do enough research, and also they were misinformed. Others find themselves dealing with non-reputable timeshare agencies who offer very shallow information. That is, they do not disclose on the issues to do with maintenance costs and they end up in the hands of fraudsters who go an overboard of even asking for upfront fees before they can even guarantee a sale of your timeshare.However, since its introduction, Leisure Getaways Incorporated has seen the success of many stranded timeshare owners as well as the prospective buyers. We carry thorough research on a particular timeshare and the information we rely to the clients are detailed and to the point. With our basis in USA, we are committed with our area of expertise and we are passionate about every aspect revolving around timeshares. Our dedication to our clients is run by a philosophy that we should treat each and every one of our clients as if they were the only clients we have. That is, we should always treat them with respect and honesty. At Leisure Getaways Incorporated LGI, we believe that integrity is the most we can offer and it will forego a sale even when we feel like we may not benefit from the clients. We strive to educate our consumers on all issues that revolve timeshares, that is, how to go about the sale, how to close a sale or purchase deal, and what basic things that any person with a thought on timeshare should avoid. This type of education has been over the years been very important in ensuring that there is full customer satisfaction. We are keen and we aim at providing our clients with a safe, friendly and professional platform for both the buyers and sellers to interact. One thing that never ends is education and as we serve our clients, we are determined to keep on gaining more knowledge by researching and studying on ways that would improve the customer’s experience. I additional to great and informative information we offer our clients, we are able to advice on the best practices that revolve around timeshare industry. Our exchange programs are also very friendly and our bottom line is to have happy and satisfied customers. With the above dedication and passion, you can rest assured that when you approach us, your timeshare is in safe hands and the whole process will be smooth. Understand the timeshare market; like any other type of real estate, timeshares are available for sale at any time of the year. There are several options available and potential purchasers often find themselves overlooking opportunities that may not stand out from the rest. When selling your timeshare, you should ensure that you do not overlook these opportunities. You should carry out thorough researching order to understand all the options that maybe available thus increasing the visibility of your timeshare. This will enable you to make the most out of a sale. Focus on the best-selling points; it is advisable to maximize on the positive side of your timeshare and minimize on the negatives. Stating negative facts about your business can drive customers farther. If your business is located in an area which has several similar timeshares on sale you should look for key unique points. Consider the location of your timeshare; the location of your timeshare plays a very great role in deciding on the right time to sell off your timeshare. For instance, in Las Vegas, you can sell your timeshare at any time of the year as there are events that attract many visitors all-year round. In other areas, you should look at the time of the year that has the maximum number of tourists. Bearing the above points in mind, you can make a solid decision on the best time to sell your timeshare. If you are in a dilemma, you can seek the services of reputable timeshare agents such as Leisure Getaway Incorporated. They will advise and also help you to sell off your timeshare. For families looking to have a budget-friendly blast, here are some tips. Leisure Getaways, Inc. creates a safe, affordable, and exciting way for families to enjoy their vacation! Call us now at (800)896-9308 or visit us at Leisure Getaways to find out more information about us. Here are some de-stressing steps to take to help you shift seamlessly from work mode to vacation mode — and back again. Overspending on vacation is easy to do—too easy. 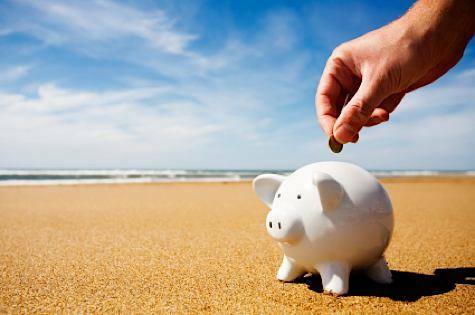 Here are three vacation cash-snatchers to watch out for as you hit the road. No matter how experienced a traveler you are, going places with kids in tow adds another whole level of stress. Avoid so much stress with these tips.